The news of Changi's budget terminal closure on 25th September 2012 should have been known to all frequent travelers of budget airlines, which incidentally does not include Air Asia in its ranks. 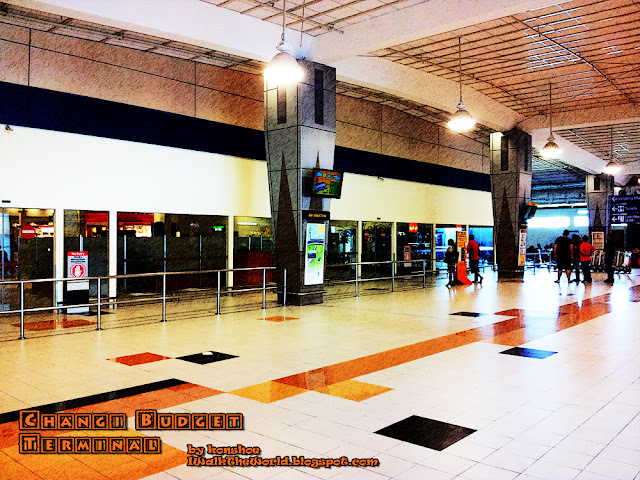 I traveled through Air Asia more often than other airlines, but I did peruse the service of Tiger Airways once in a while, so I was still well acquainted with this wayward terminal situated at the fringe of its 3 larger cousins. The announcement of the end of Changi's budget terminal service on 25th Sept 2012. Let not the terminal's name fool you. Budget it may be, it was rather clean and orderly, in the typical Singaporean way. 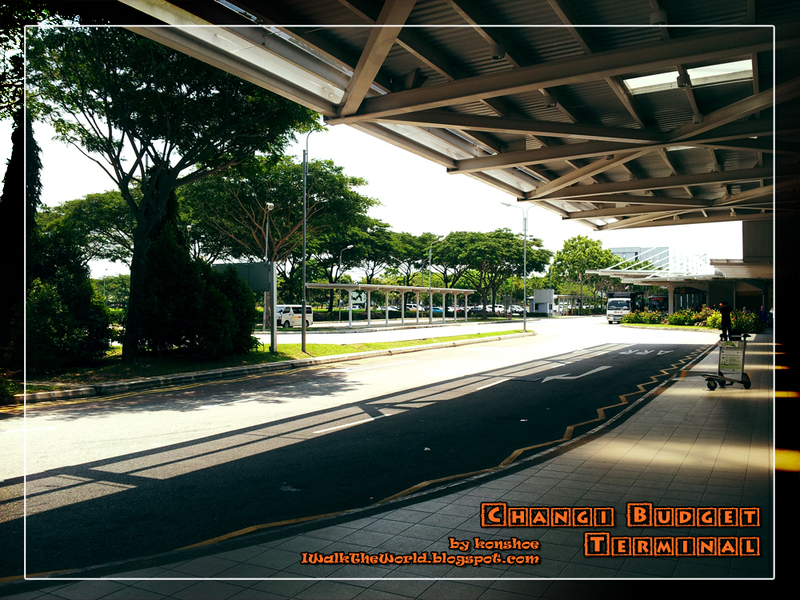 Changi's budget terminal's cousin in Malaysia, LCCT, could learn a lot here. My visit to the latter never yielded any good impression. Maybe it was my fellow Malaysian drivers who could not wait at designated areas, preferring their own convenience over others, clogging the traffic lanes. Or maybe it was the lighting which never seemed bright enough. 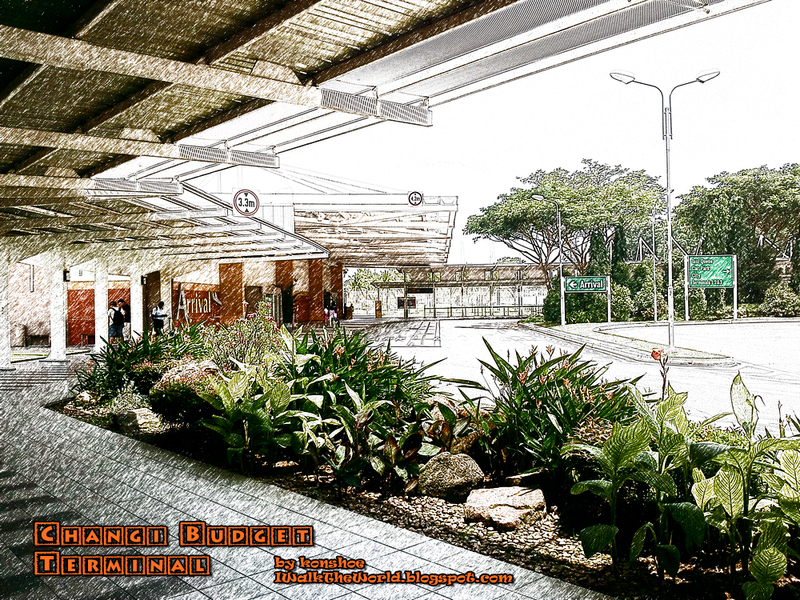 Or maybe it was even the unpaved and dirty walkway from the airstrip to the terminal's arrival hall. All in all, a flight from Changi's budget terminal to LCCT just gave me a sigh of exasperation, disappointed on how Malaysia could even expect to reach a first world mentality when her own citizens wish not to change their own thinking. Maybe it is easier to just blame it on the government or authorities, when simple acts like not clogging the lane felt just too daunting to us. There are only that much blame we could place on others before the finger has to point back to ourselves. 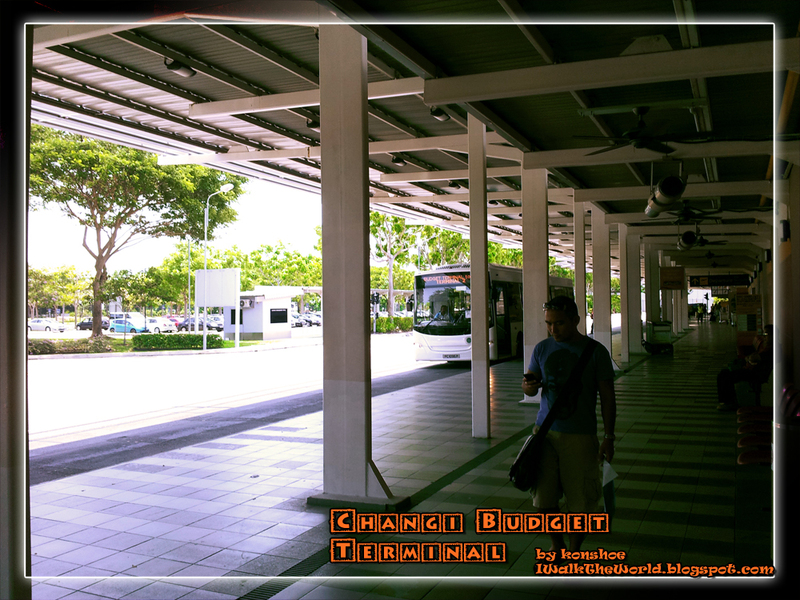 Approaching the Arrival Hall from the bus terminal. Compared to its bustling cousins, sometimes the budget terminal could be quite peaceful. A shot of the cab pickup area. Another quiet shot of the surroundings. If it were on Fridays, I believe it would not be this quiet. The terminal may not be as spacious as LCCT, but it definitely beats the latter hands down when it comes to cleanliness. When it comes to convenience, the budget terminal had as much convenience as could be expected from one with the term 'budgetary' hooked to it. Fast food joints and other small cafeterias served travelers with a quick bite before departure or upon arrival. Other than that, there wasn't anything exciting about the place, apart from its cleanliness. Unlike its other 3 big cousins, the budget terminal needed to be accessed through a shuttle bus, which although ran for free, did not make a traveler convenient. 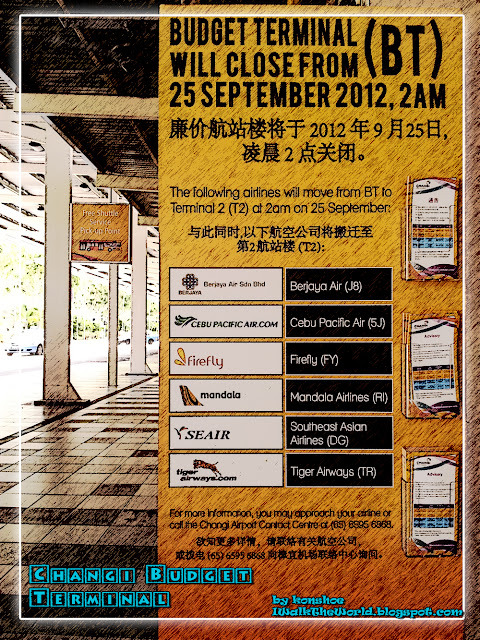 That was one of the biggest sigh of relief when the budget airlines were transferred to Terminal 2 (T2). The bus stop at the budget terminal was non-air conditioned, which sometimes could be unbearable when the sun was high up in the sky. The arrival hall looked a lot cleaner and brighter than the one in LCCT. The only thing lacking in numbers was the amount of seats available. The bus waiting area was not air-conditioned. When the sun shone high in the sky, it could get more than just warm waiting in the area. Fortunately, there were not many cars fuming their exhaust waiting for the arrival of their loved ones. The three main terminals were served by a skytrain, making traveling from the MRT to the terminals easy and convenient. More than a few first-timers almost missed their flight departing from the budget terminal because they were not aware of the fact the they needed to board the shuttle bus to the budget terminal. 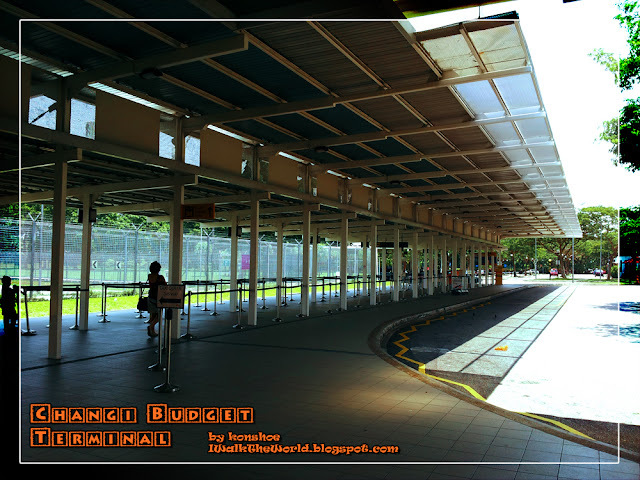 With the budget terminal serving its last customer on the 25th Sept 2012, it is no longer possible now to visit it, although I wonder why anyone would like to do that, given that they will need to board the shuttle bus to reach there. Still it would be nostalgic for those who had departed and debarked from the little terminal numerous times. I hope that these few photos will serve as a memory to all the hard work the terminal endured during its service, and that the new terminal will be an improvement over it. Environment: A quiet terminal at the fringe of its bustling terminal cousins. Address: 75 Airport Boulevard, 819664 Singapore. 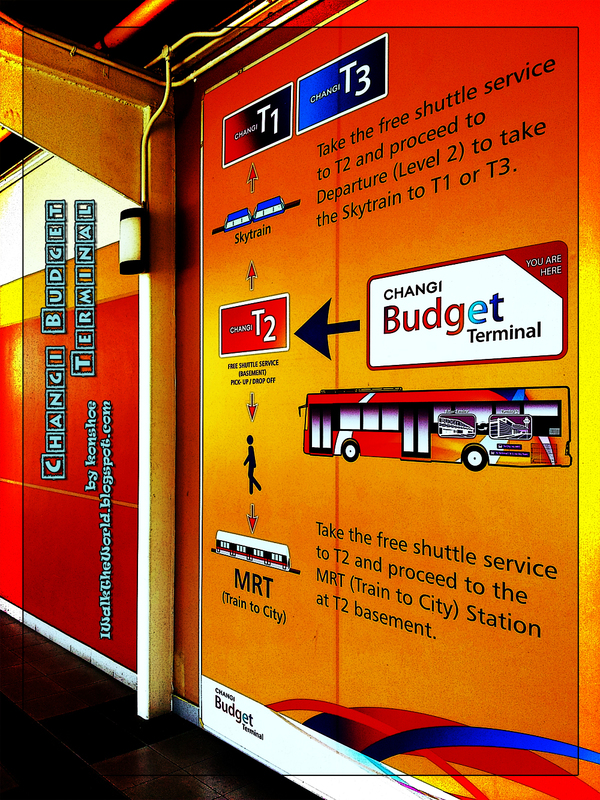 Getting there: Just take the East-West MRT line (Green line) and disembark at Terminal 2 (T2). Look for the signs pointing you to the skytrain bound for T1, and you will see the twins nearby the check-in counters.